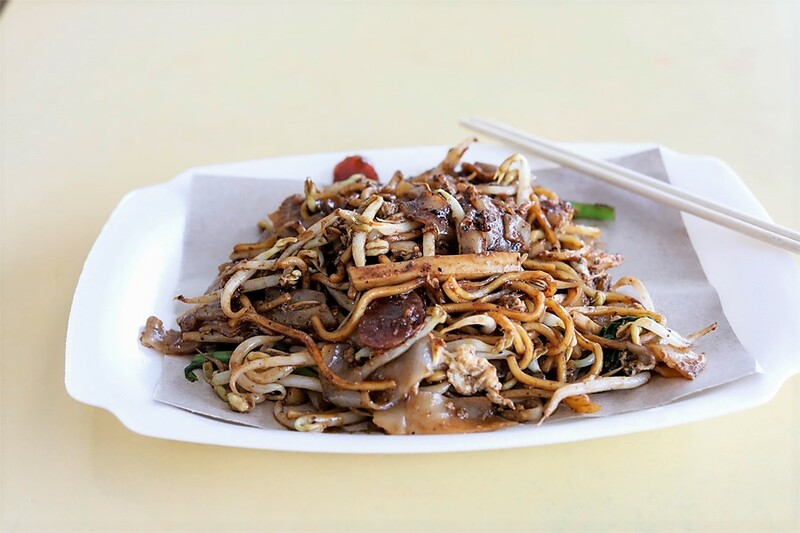 Char Kway Teow, which is stir-fried noodles, is one of those local hawker food that I appreciate more as I get older. One dish, different flavours, many styles. 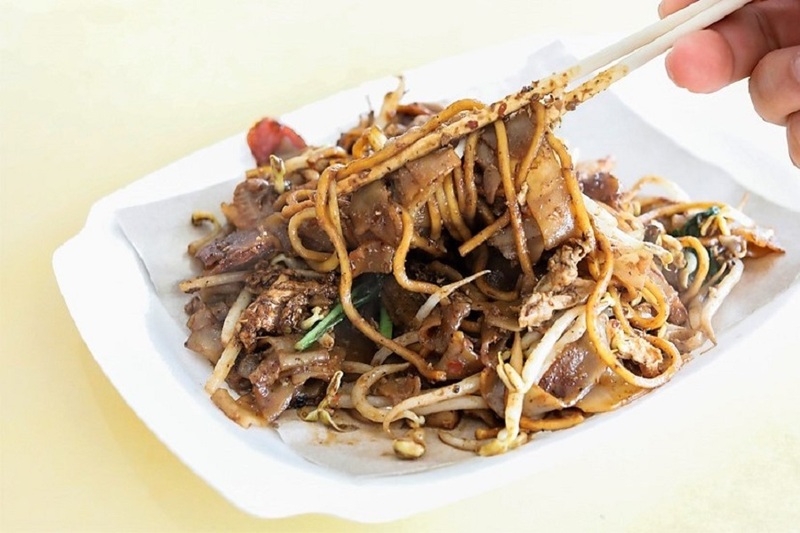 You never get the same type of Char Kway Teow between stalls. And as most owners (typically older uncles of a certain age) fry them plate by plate, you may not even get that ‘same taste’ even as you go back to the same stall. Sometimes, depends on uncle’s mood. That is what gives it character. 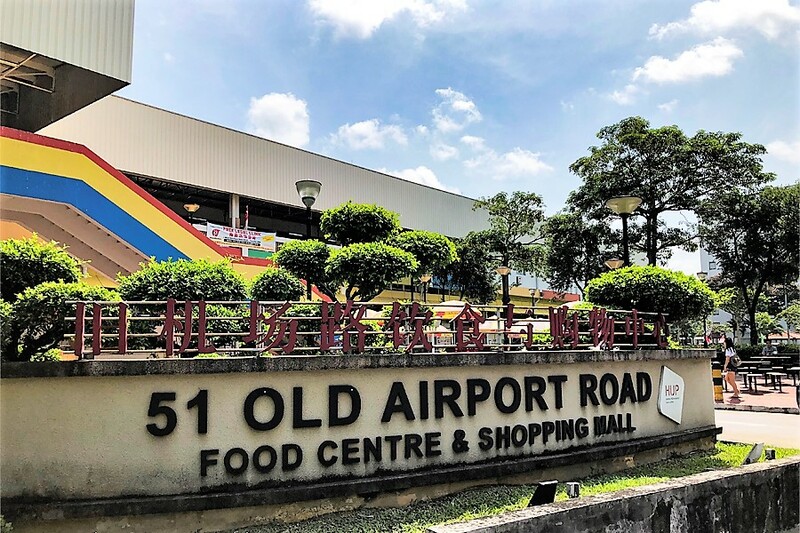 I have tried Lao Fu Zi Fried Kway Teow 老夫子炒粿条 at Old Airport Road quite a number of times in the past. But it was never a stall I would purposely go, it was more like a ‘by-the-way’ “Let’s try CKT” kind of experience. 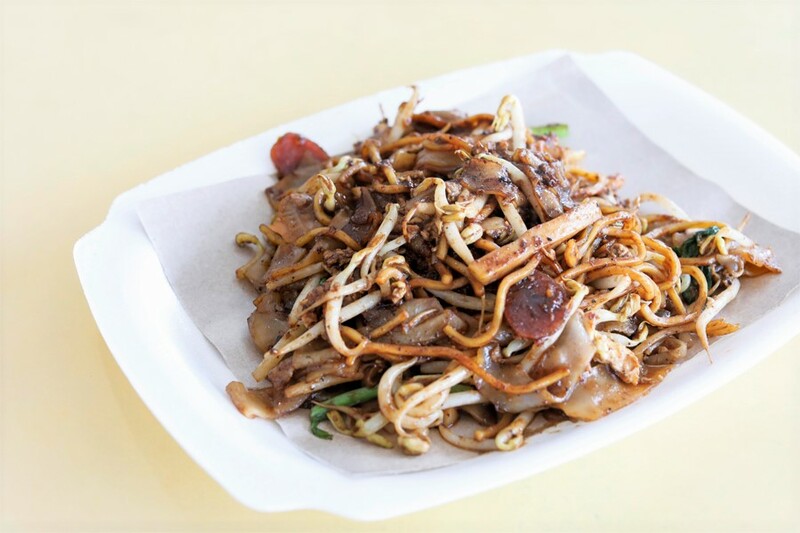 There is also Dong Ji Fried Kway Teow (#01-138) in the same food centre that some of my friends preferred. 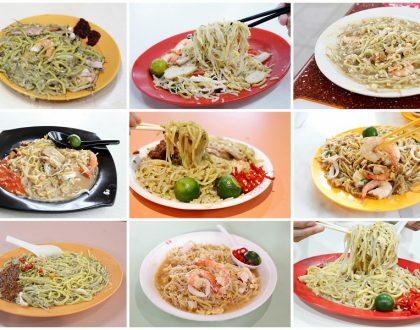 That was until it was listed in the Michelin Bib Gourmand list in Singapore. The list is of course debatable, but what cannot be denied is that the queue gradually got longer throughout the months. 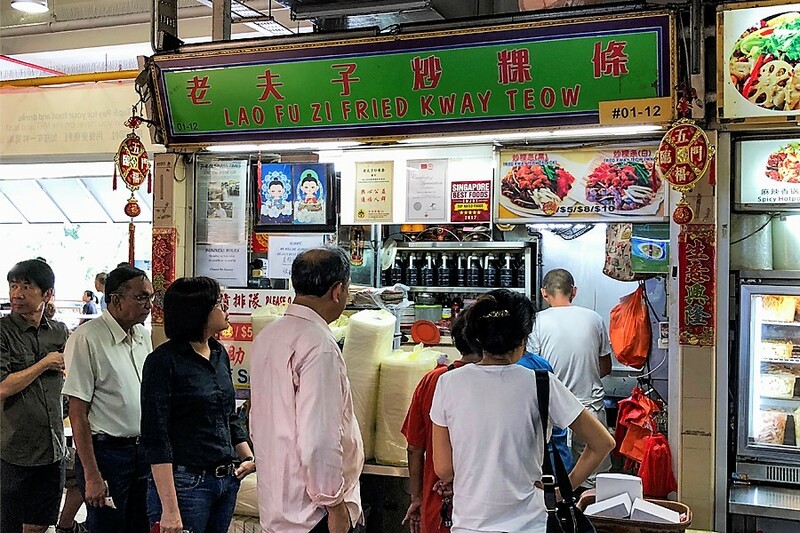 Named as a tongue-in-cheek reference to the famous comic character from Hong Kong, Lau Fu Zi is a Char Kway Teow stall owned and run by Mdm Kuah for more than 3 decades. Up to now, you may see a pair of “Lau Fu Zi” or Old Master Q figurines placed at the entrance of her stall, a holiday souvenir from her friend. 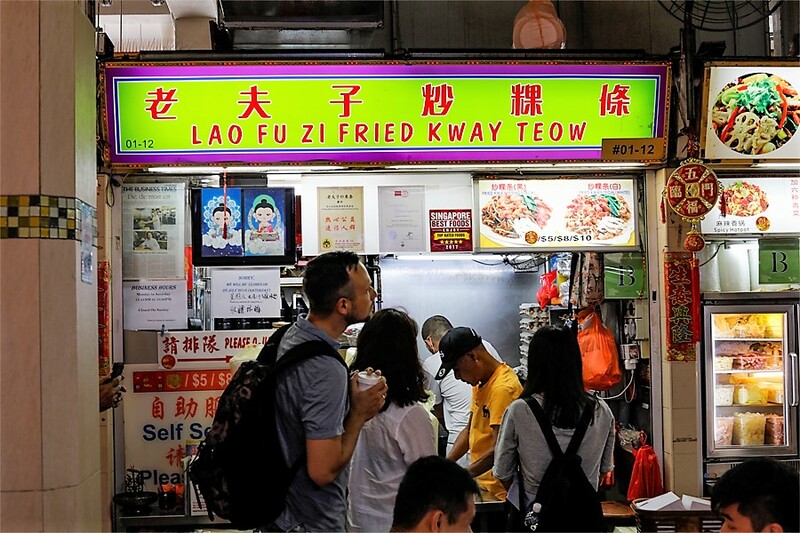 Offering both the black or white versions, Lau Fu Zi’s Fried Kway Teow ($5.00, $8.00, $10.00), are all cooked-to-order, each plate fried individually. The dish carried a well-balanced flavour, and surprisingly not very oily. Its consistency was more on the dry side, which some diners may like or don’t like, depending on one’s preference. Also, it lacked of the strong wok-hei (there was still same). By default, it really doesn’t use pork lard unless you request for it. It is a not-bad plate, though I think some customers may prefer the dark, wetter type with stronger flavours. 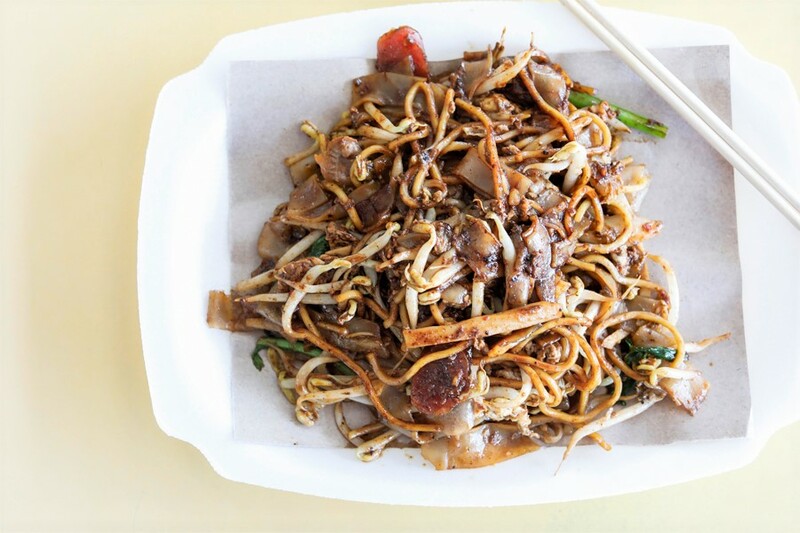 Then again, everyone has their preferred style of Char Kway Teow.